Yara joined the Lazord Fellowship in 2011 right after graduating from college. She was placed at INJAZ Egypt, and this is when her story in civil society began. During her year at INJAZ she worked in all of the departments, and was able to learn a lot about entrepreneurship and work readiness education. Shortly after the end of the fellowship, she joined INJAZ as a full-time employee. She started as a field coordinator, then project supervisor, and finally was promoted to become the head of the department of INJAZ schools. In this position, she managed around six different projects in greater Cairo and upper Egypt public schools. She was nominated by her managers to take part in different conferences and training courses. The five years that she spent at INJAZ were full of learning, excitement, exposure, and achievements. Throughout her work at INJAZ, she explored her potential in different sectors and recognized her deep passion for working in the field of youth development. 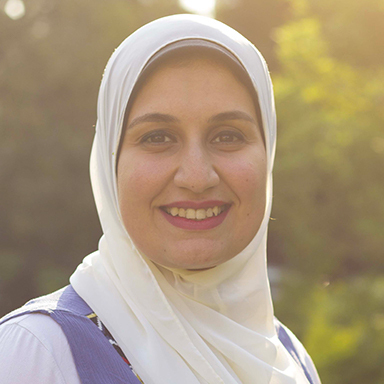 Yara is currently an operations manager at Blooms Egypt, a youth development company. In addition, she is completing her master’s degree in public administration at the American University in Cairo.